Could Tanning Take The Edge Off Fibromyalgia Pain? One of the first things people notice about me, or so I’m told, is my fair skin. Deceptively tannable, my skin is something I take a lot of pride in keeping pale, for aesthetic and health reasons. What you can’t see just by looking at me, however, is that I’ve suffered from fibromyalgia for the last decade. Fair skin and fibromyalgia may not seem related-I’ve surely never correlated the two-but a recent study has a handful of experts connecting these outwardly unassociated dots. Fibromyalgia is a chronic pain syndrome that can cause seemingly endless musculoskeletal aches-something I know all too well. Even though millions of people, mostly women, have been diagnosed, many of us haven’t found sufficient relief from the medications and physical therapies most often recommended. Some have turned to alternative options, but few seem as risky as the treatment investigated by Wake Forest University researchers. Although the non-UV group didn’t notice any difference in their pain, “People in the UV group reported a modest improvement,” according to study author and director of the Center for Dermatology Research at Wake Forest Baptist Medical Center, Steven R. Feldman, MD, PhD. Some may find these results promising, but personally, I find them upsetting. I’m not willing to risk the youthful appearance I’ve maintained by avoiding natural and artificial sunlight, and more importantly, I have no interest in getting skin cancer. 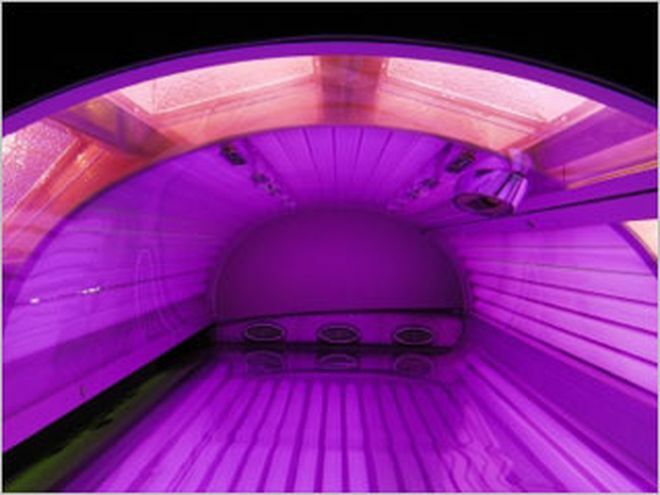 Numerous studies have shown that a single tanning session can damage DNA, so the idea of subjecting myself to multiple, ongoing tanning-bed treatments with the goal of moderate pain relief is one I’d rather not entertain. The concept of treating fibromyalgia with UV light is one that needs much more research, and the authors of this study are the first to admit that. However, additional alternative therapies must be explored-ones in which the risks don’t outweigh the benefits. There are days that my battle against fibromyalgia feels desperate, but not enough to take a chance with tanning. As painful as it may be, fibromyalgia won’t kill me, but melanoma could..